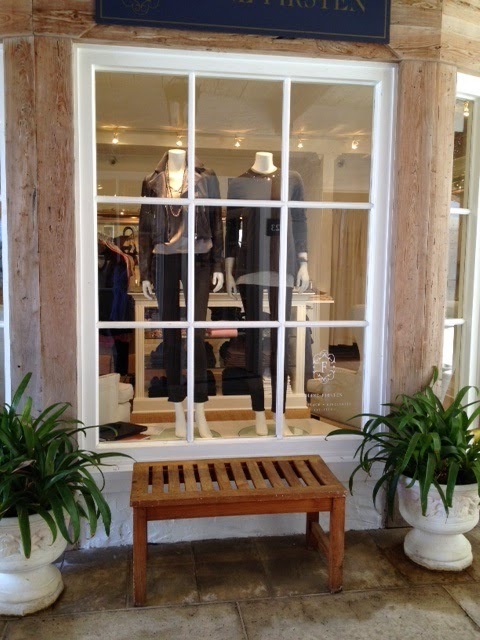 I love my via—it’s so charming, a little bit of Italy or the South of France, and with such nice stores. 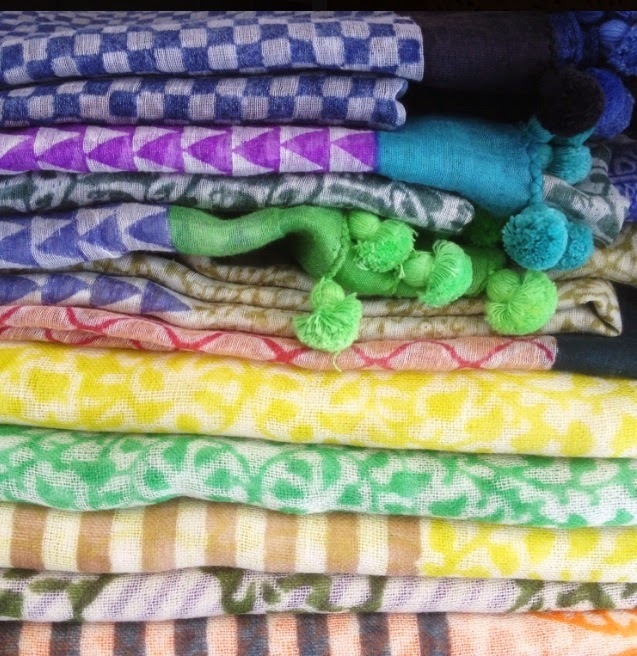 while they show you their tunics and djellabas in all kinds of bright colours and soft, breezy fabrics. 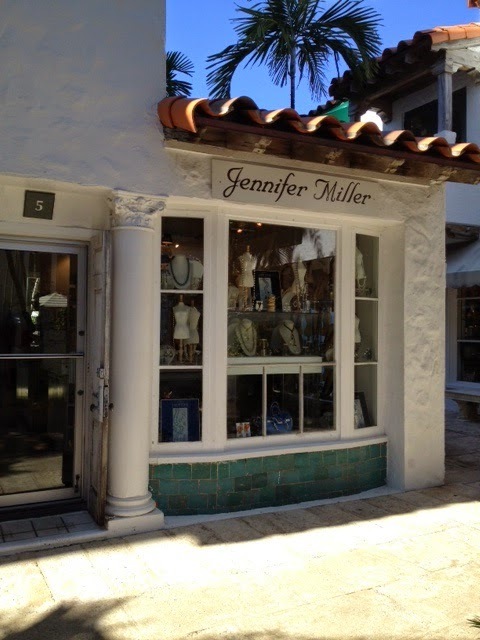 Great semi-costume, semi-precious jewelry in a building listed, as is all of the Via, on the National Register of Historic Buildings. A wonderful Christmas present this year are these dangle earrings of gold plate over sterling silver. She also has tres chic wraps and tunics. 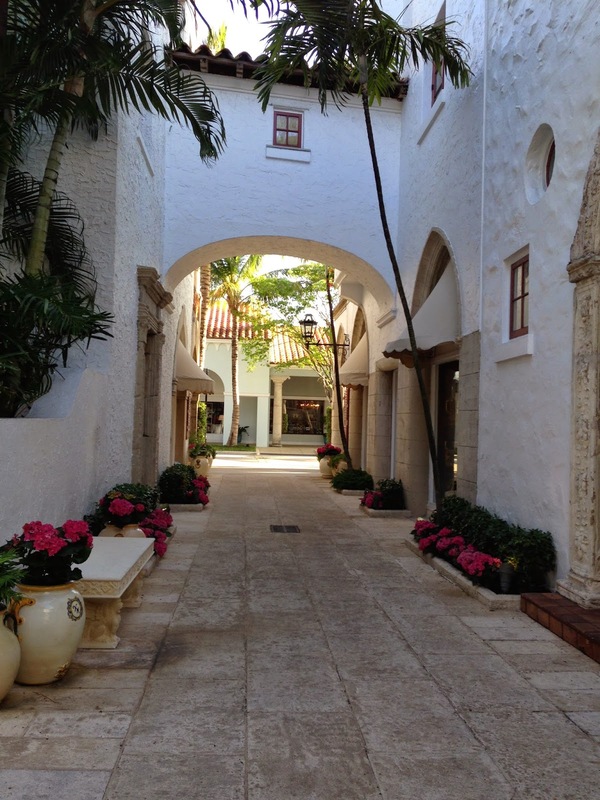 Palm Beach is a tunic town—white pants, a tunic, sandals, and you’re off! 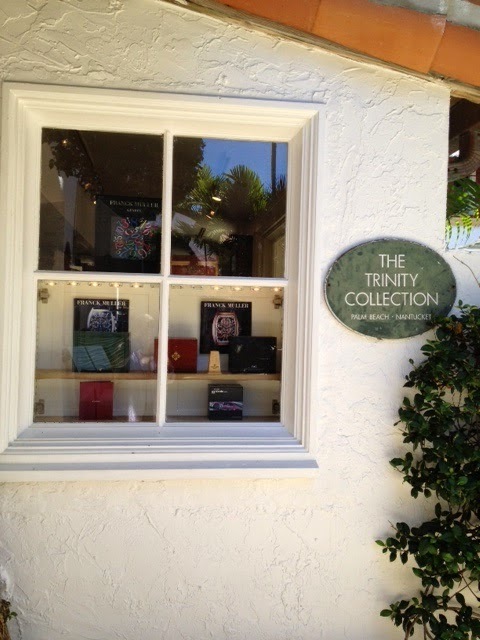 Wander upstairs over the Eastern courtyard of the Via to get to Tomas Maier and see their collection of gently used and new books about Money, Cire Trudon candles, cashmere sweaters and mens’ bedroom slippers. The manager is Jenny who is such a nice,nice girl, friendly and full of help. go. Really cute tunics too. wonderful cookbooks, travel and decoration subjects, cookies for the seasons, and at Christmas, a huge pot of faux pearly necklaces which you can wear singly or in masses or even use them to tie up a present. Fit, quality and classic modern styling are the hallmarks of Diane's clothing collection. Her brand encompasses the true "Town and Country" look. 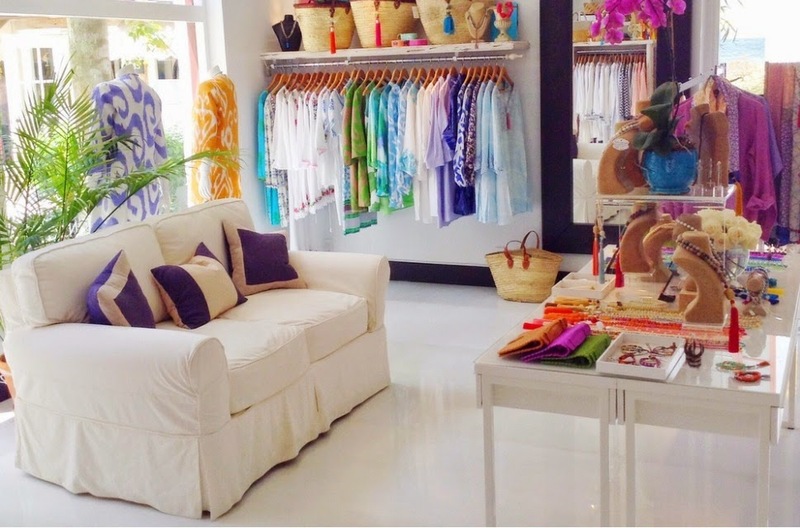 You can find great business attire as well as resort wear from New York and European designers. 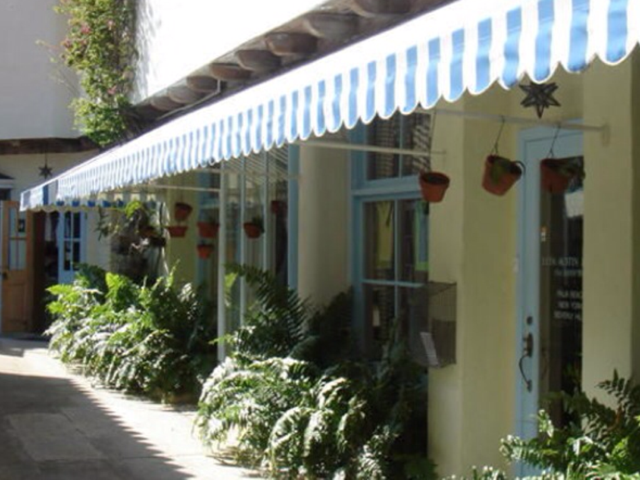 This tiny little shop has quite an extensive selection of fine estate and contemporary jewelry. You can find one-of-a-kind pieces there or you can have an exclusive design created for you. Tucked in the corner of the courtyard that houses Tomas Maier and C.J. Laing, is the famed Vilebrequin shop. Here you will find colorful and original swim shorts inspired by the Saint Tropez lifestyle of the 1970's. 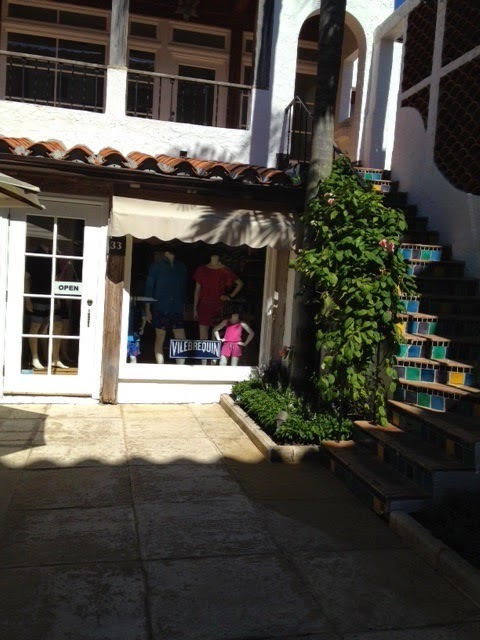 This fun shop also carries Resort Wear and accessories to make your day at the beach C'est Magnifique ! 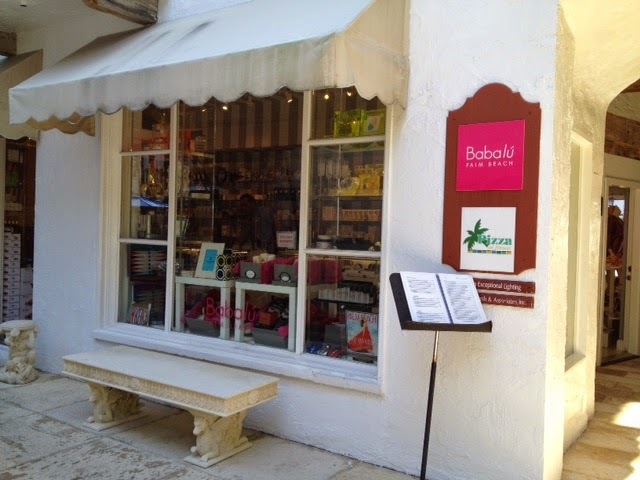 This little corner space houses a large collection of perfumes, lotions and home fragrances. While you are waiting for dinner, pop in and sample a few whiffs. 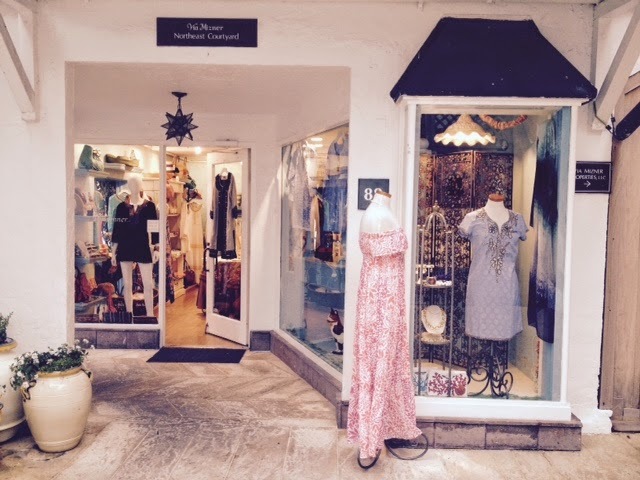 You will find simply adorable tunics, fun dresses, great costume jewelry and fabulous, fun purses at Lynn's shop. Don't forget to check for bargains and hidden treasures upstairs ! Well, I bet you were wondering when I would get to this little jewel of a shop. Actually, our shop is quite large and our selection varied. 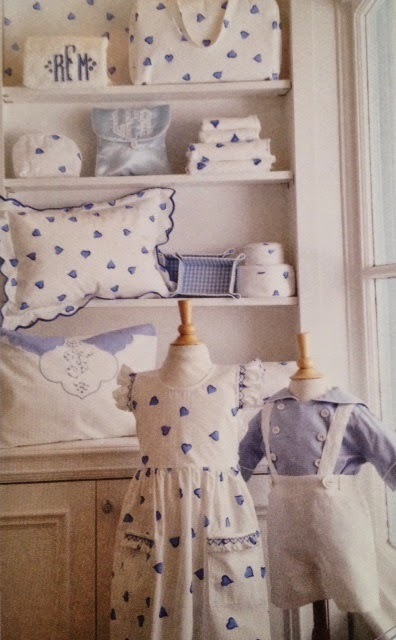 We gather a unique, refined and cultured collection of home interior products and children's clothing from wonderful places like Venice and Florence in Italy, Paris, London and Madiera. Our shelves are filled with the finest bedlinens, the jolliest china and the most illuminating lamps and candles. 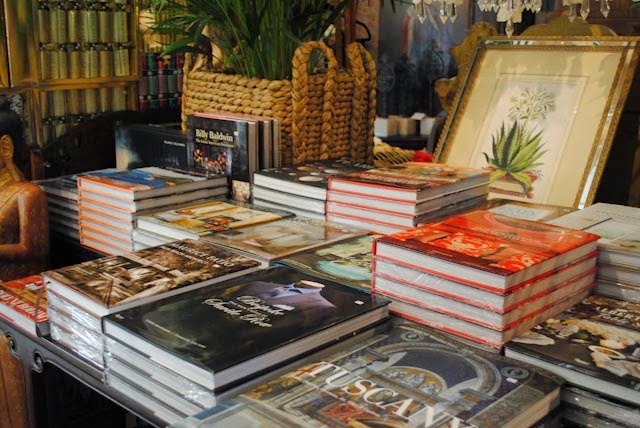 Come and treat yourself to a stroll around our shop and pick up some D. Porthault Bedlinens, some Mrs. John L. Strong stationery, a box of Santa Maria Novella potpourri........well, you get the picture ! If we don't carry what your little heart desires, we will do our best to find or make it for you. We love to see you smile ! Hope you come visit us all soon ......you'll be so glad you did !